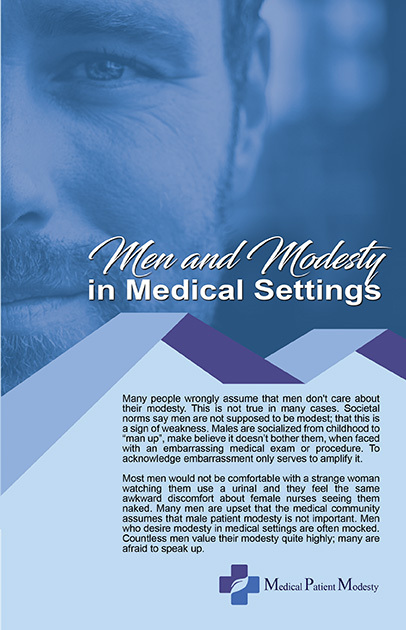 Medical Patient Modesty is distributing brochures educating men about their rights to modesty in medical settings. We are selling our brochures in large quantities for people who want to distribute them to multiple men. The profits from our brochures will help to pay for shipping and brochure distribution, and to support Medical Patient Modesty’s mission. The more money we secure, the more brochures we will be able to distribute. and we will be happy to check on the cost of shipping.